Screenings of ‘Behind the Cove’ in L.A.
You are at:Home»English»Life & Arts»Film & TV»Screenings of ‘Behind the Cove’ in L.A. Seven years after its release, “The Cove,” a documentary about dolphin hunting in Japan that won an Academy Award, is still used today as teaching material in high schools, universities and other academic institutions. However, many are not satisfied with its unilateral content, and have wanted to hear the opinions of the other side. Yagi Film Inc., the distributor of “Behind the Cove,” a documentary that includes arguments from both the Japanese side and others about the whaling issue, has for some time had inquiries about the film from universities in U.S. and Japan. Amidst such interest in the film, Kyoto University and UCLA will each hold on-campus screenings of “Behind the Cove.” The screenings will also be followed by a discussion that anyone can participate in regardless of their views on whaling. In addition to the two universities above, the documentary will also be screened at the Terasaki Nibei Foundation, a hub of medical research and cultural exchanges founded by the late Dr. Paul Ichiro Terasaki, a professor emeritus who contributed in various ways to UCLA for many years. 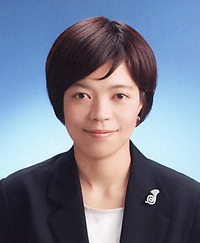 Although opinions are often divided on the whaling issue, creating an international debate, participants at the Kyoto University event are mainly foreign students who are interested in protecting wildlife, and it is expected that both camps will be represented at the events in the U.S.
Director Keiko Yagi will participate in the discussions and Q&A sessions at all the events. Entry is free, and everyone is welcome. The Kyoto University screening will be held on June 3. The L.A. schedule is as follows. “Behind the Cove” is expected to be distributed on iTunes to English-speaking countries in mid-June, and on Netflix worldwide in English and other languages in late August. The screening events will serve as a kick-off before the documentary finally reaches global audiences. After working at the Tokyo branches of Paramount Pictures, Yagi started her own company, Yagi Film Inc. “Behind the Cove,” which was screened at the 2015 Montreal World Film Festival, is her film. For more information, visit www.behindthecove.com.